"What they are talking about is just too big for the area and there is not enough mitigation required to deal with the traffic," [said Labonge]. The $800 million project, in the planning stage for more than two years, calls for the construction of twin 24-story towers, a five-story studio complex and a 34-story high-rise to be built over the next eight years. 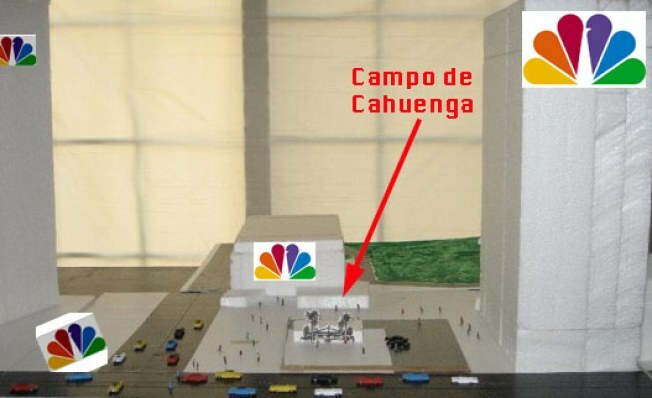 The project will serve as the new home for NBC, which is leaving its Burbank headquarters. It is proposed for Metropolitan Transportation Authority land. Labonge tells the Daily News he will investigate what special City Council powers he is authorized to wield in order to "slow down or scale back" the project.